Mini Lakes is a year round mobile and modular home community situated in an area where you can breath fresh air, relax to the sounds of nature, and enjoy the company of like minded neighbours. At Mini Lakes, there’s a recreational hall where meetings and social functions take place. It has a hardwood dance floor, a stage, a large kitchen, washrooms, a music room, a bar area and dart boards. With a complete facility setup, it makes it easier to celebrate weddings and private occasions without having to worry about renting other accommodations or overcrowding your own house. The large floor plan also makes it possible to host multiple events at once by sharing time slots and some of he common areas. Beside the recreational hall, there’s a library for public and private reading engagements. The well-stocked shelves also come complete with jigsaw puzzles, records and magazines, as well as a wide array of donated books. These ensure that at Mini Lakes, the mind is nourished as well as the body and soul. Other facilities include a maintenance building for equipment and supplies, bocce courts, horseshoe pits, a heated outdoor swimming pool, and for a small rental fee there are large allotments of garden space available. In addition to the lush greens and naturalized areas (that are great for a good old fashion game of hide-and-go-seek with the grand kids), there are the natural reserve of spring fed lakes where you can go fishing, boating, and swimming. If you’re a fan of golf, there are nearby courses for friendly tournaments and competitions. Likewise, there are plenty of other activities to enjoy such as gardening, barbecues, pot luck dinners, euchre nights, cribbage nights, dart leagues, exercise classes, and so on. 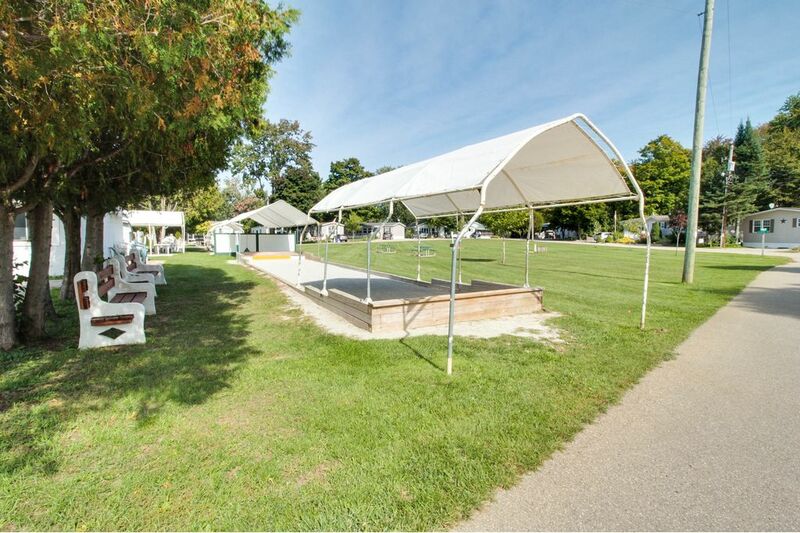 There’s no other community of modular and mobile homes in southern Ontario where you are presented with as many options for spiritual, mental, physical and emotional development as there are at Mini Lakes. Take a look at some to the homes for sale at Mini Lakes and consider becoming a member of this great community. Start enjoying life now in the manner that you want to. If you have any questions about the community in general, please feel free to connect with me using the Live Chat feature on this page, or you can ask your question in the comment section below. Considering a move to Mini Lakes? Subscribe to our listing updates by filling out the form on this page called "GET NEW LISTINGS FIRST"
You will be the first to find out about new listings before they hit the market!